Claudia Rankine’s bold new book recounts mounting racial aggressions in ongoing encounters in twenty-first-century daily life and in the media. Some of these encounters are slights, seemingly slips of the tongue, and some are intentional offensives in the classroom, at the supermarket, at home, on the tennis court with Serena Williams and the soccer field with Zinedine Zidane, online, on TV—everywhere, all the time. The accumulative stresses come to bear on a person’s ability to speak, perform, and stay alive. Our addressability is tied to the state of our belonging, Rankine argues, as are our assumptions and expectations of citizenship. 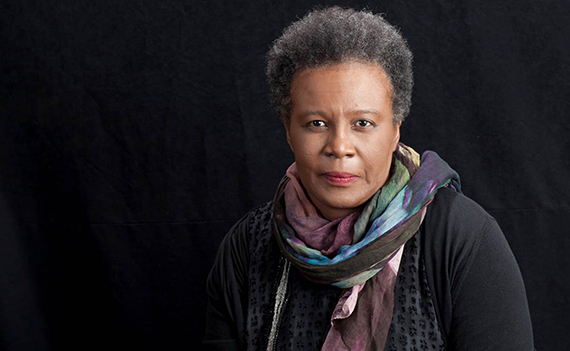 Claudia Rankine is the author of four previous books, including Don’t Let Me Be Lonely: An American Lyric. She currently serves as a chancellor of the Academy of American Poets and teaches at Pomona College. 1. What words, definitions, or ideas do you associate with the word “citizen”? Do these associations line up with one group of people? 2. Rankine addresses “you” throughout the book. Where do you recognize yourself in the encounters described in Citizen, if at all? What perspectives or angles of experience were you surprised to inhabit, and why? 3. Look up “lyric” in the dictionary, or do an internet search for “lyric poetry.” How does Rankine’s use of “lyric” in the subtitle of Citizen both adhere to and challenge these definitions and usages? 4. How do the visual images in Citizen affect your reading of the text? What does the image of Caroline Wozniacki on page 37 express that can’t be expressed by words alone? Would you react differently without the image? What does the work of art on page 19 evoke in relation to the text about the experience on the therapist’s doorstep? 5. On page 131, Rankine narrates the act of sitting down in an empty seat next to a man on a train, a seat others have avoided. What does this kind of close attention to the human body have to do with race and racism? How has your perception of your own body, of the way you physically occupy space, shifted after reading Citizen? 6. Citizen narrates many instances of micro-aggressions—individual acts of racism that collectively form the crushing experience of racism in America. Is racism a singular action, or is it a series of acts? What is the difference between the singular action and the accumulation of them? 7. As Citizen has been reprinted, the different editions have incorporated changes to the text, most notably the inclusion on page 134 of the names of African Americans killed since previous printings. How does this evolution align with the book’s core questions and preoccupations? Are there other ways in which Citizen feels like a book that has changed in light of more recent events? 8. 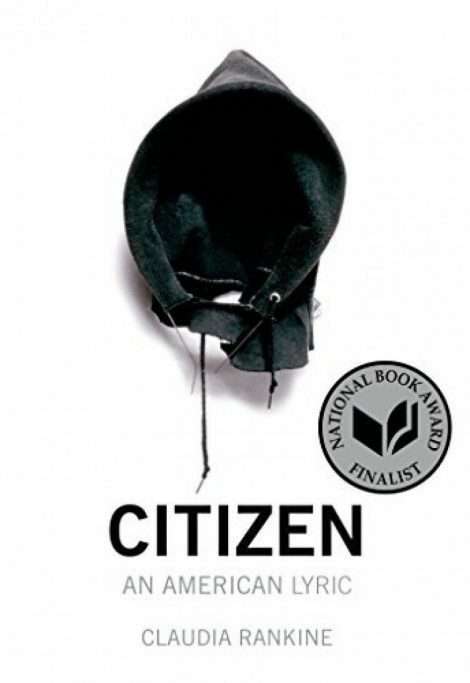 Many readers and critics have pointed out that Citizen defies established genre distinctions (it was even nominated for National Book Critics Circle Awards in both the Poetry and Criticism categories). Reading Citizen, did you think of it as poetry? As prose? Does it matter? 9. Citizen’s discussion of Serena and Venus Williams includes the Zora Neale Hurston quote, “I feel most colored when I am thrown against a sharp white background.” How does this quote encapsulate the Williams sisters’ experience in the world of professional tennis? How does this quote relate to Citizen as a whole? 10.Referring again to Serena Williams, Rankine states, “Yes, and the body has memory. The physical carriage hauls more than its weight.” How do sports in particular encourage spectators and officials to assume influence or even ownership over the bodies of the players? Does this have parallels to other arenas of American life? 11.How does Citizen portray and address the privileged position of white Americans? How does Rankine also show the effects of a racist system on those white Americans? 12.What associations does the image on the cover of book bring up for you? Is it surprising that the work of art it depicts, In the Hood by David Hammons, was first exhibited in 1993? How does In the Hood relate to the death of Trayvon Martin in 2012? What does this seemingly disjointed timeframe say about the deadly effects of racism in America? 13.How do you interpret the choice to use of J.M.W. Turner’s painting The Slave Ship as the concluding image in Citizen? Why is it important that the detail is pictured alongside the full painting?